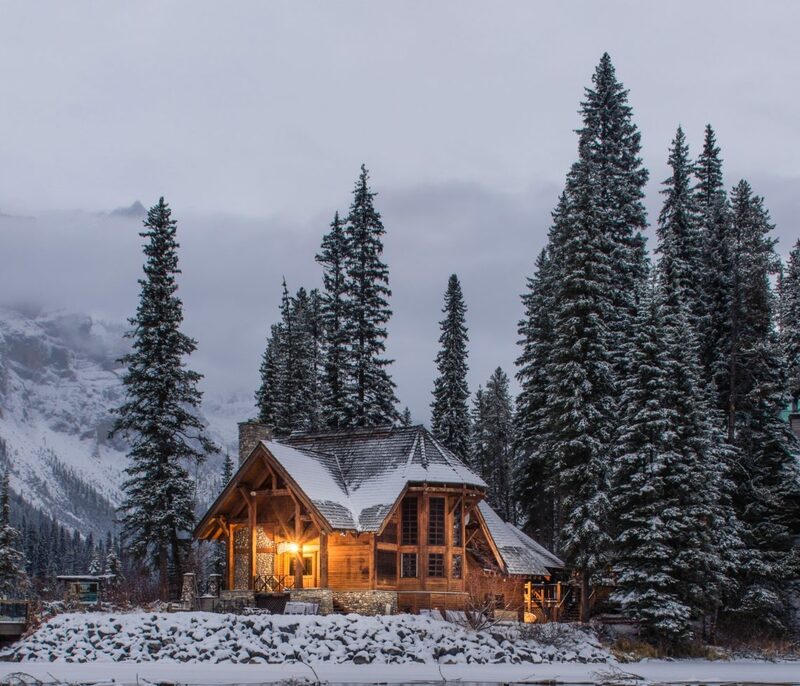 Whether or not your cabin is a grand mountain retreat, or a little cabin in the woods, you’ll want to add some touches and features to make it your own luxury retreat. 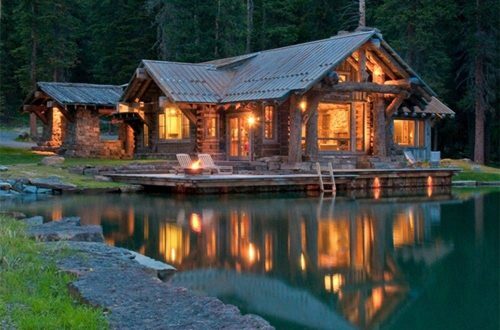 Here are some ideas to turn your rustic dwelling into a luxury cabin retreat. Installing a hot tub will certainly transform your cabin into a haven. It’s usually a luxury feature in which you can relax in the evenings. Or well… Anytime of day. Consider putting one out in your yard, on your deck or on your porch. A cabin is incomplete without a fireplace. In my opinion! So it is not unusual to have a fireplace in your living room. But you could step things up a notch by putting one in your bedroom. Then you would be really living the life. This could even be just a small wood burning stove. Wanna be able to see the stars while you lay in bed at nights? You could install skylights, and enjoy the luxury of stargazing from the comfort of your cabin. If you have a loft, maybe you could install a skylight in there. Do you like sitting on your porch and watching the sunset? Are those pesky bugs bothering you? Add screens to your porch, so you can enjoy beautiful evenings without having to worry about bug bites. Adding a chandelier to your cabin will add some elegance to it’s ambiance. You can choose a rustic chandelier like one with a wagon wheel or even chains, to make sure you keep things looking rustic while luxurious. Lighting can really make a simple home look luxurious. One good way to add some flair to your cabin is to install lights over your kitchen island. Pendant lights are perfect for this purpose. And you could use rustic industrial style lights for your cabin. Add a grill to your collection of cabin equipments and appliances. It’ll make your cabin the ultimate venue fir gatherings. A barbecue doesn’t only make nice food, it also makes a warm ambiance. A hammock is the symbol of relaxation. And that’s what cabins are for… Right? Set up your hammock out in your yard, or on your porch, and enjoy cosy afternoons or evenings sleeping and relaxing in bliss. Turn your porch into a haven of cozy relaxation by adding one or two rocking chairs. You can sit and rock the evening away until you fall asleep, or even play your guitar to the rhythm of your rocking chair. 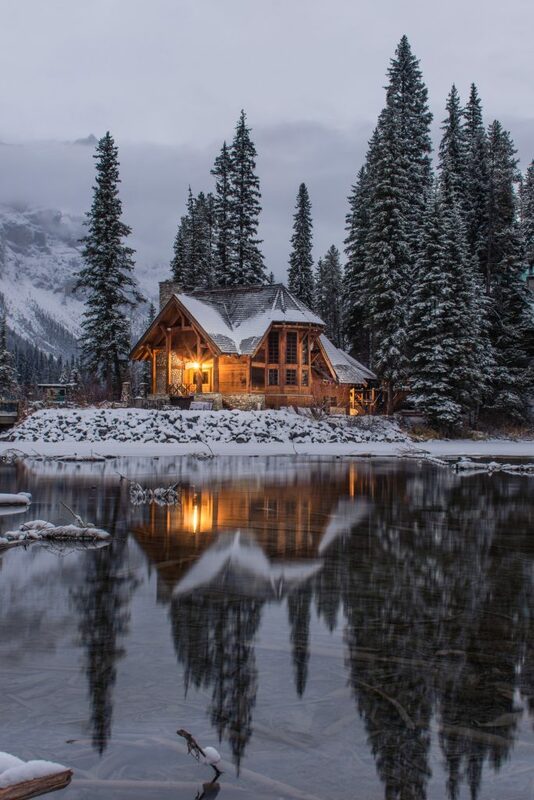 Does your cabin have a name? 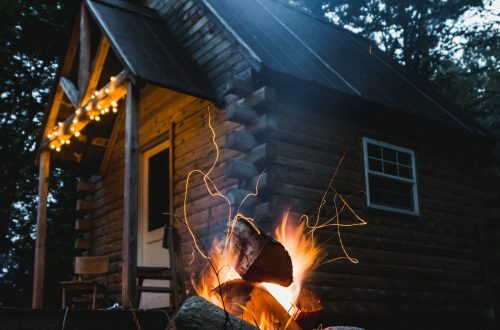 If not, you could turn your cabin into your official retreat by giving it a name and making a wood sign with the name on it. This will really impress your guests and make them feel like they have stepped into a luxury retreat whenever they are in your home. 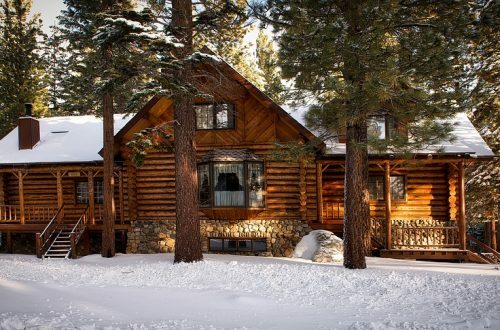 If you like these ideas for turning your cabin into a luxury retreat, you will also like these log cabin bedroom ideas.